Naud is a house with an eclectic and fascinating history. In the latter part of the 1800s, founder, Emile Perrier, studied the art of fruit liqueur making in Bordeaux. At the end of the century he set up his very first distillery at Bussac-Forêt in Charente-Maritime. He was an entrpreneur, and definitley felt the pull to do things a little differently to what others would consider the 'normal' path. In 1923 Emile Perrier founded the Distillerie du Donjon in the heart of Pons, near Cognac. Emille is probably most famous for his fruit liqueurs that were renowned throught the region. His son, Jean-Gabrielle, obviously followed in his father's footsteps. In 1936 he decided that the old grain mill of Pinthiers, located on its own private island bordered by two arms of the River Seugne, would make the perfect Cognac distillery. 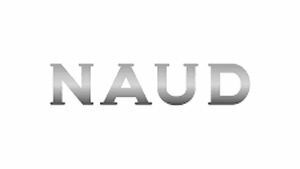 The conversion was completed, and remains the heart of Naud Cognac to this day. This hidden sanctuary boasted five copper stills, and were tended by Jean-Gabrielle's son, Robert. Today the house of Naud still occupies the converted grain mill, complete with authentic water wheel. Following some years of disuse, today's owners, Jean-Michelle Naud and son Pierre once again fired up the copper stills and brought to market their own range of Cognac. Jean-Michelle and Pierre were already known as being somewhat 'renegade', thanks to opening ut the first ever Vodka distillery in the Charente region in 1999. They continue to combine their love of Cognac making with various other liqueurs and spirits, such as Gin and Spiced Rum. Their Cognac range is small, but of top quality, and ranges from a VSOP to an Extra quality. There is no information about visiting the distillery. We suggest you contact the house directly for more details.